Collection of objects made in Corian for the 2004 Designers' Day at Forum Diffusion. 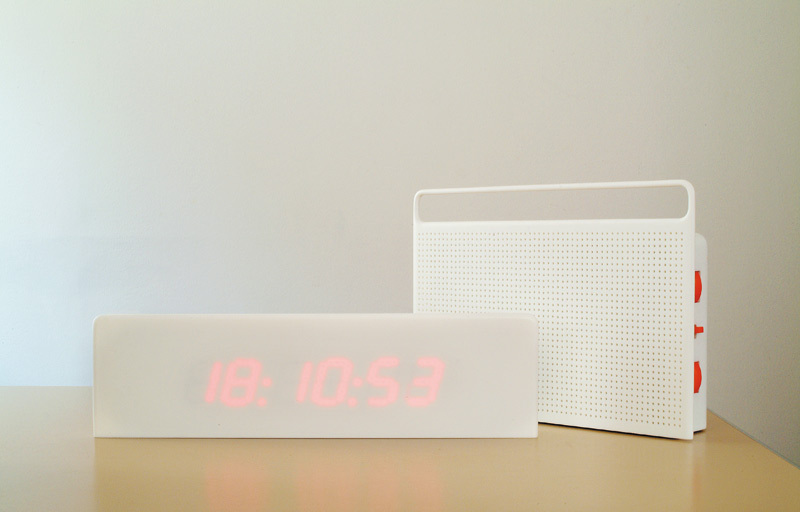 An alarm o'clock displaying the time through transparency. A radio with a front perforated board. Technical box and buttons hidden at the back.